You trust your doctor to provide you with the highest level of care. You trust the hospital you visit to treat your injuries appropriately so that you can recover. Unfortunately, for victims of medical malpractice, these completely reasonable expectations go unmet. If you have been injured due to the negligence of a medical provider, hospital, or medication, you could be entitled to financial compensation. 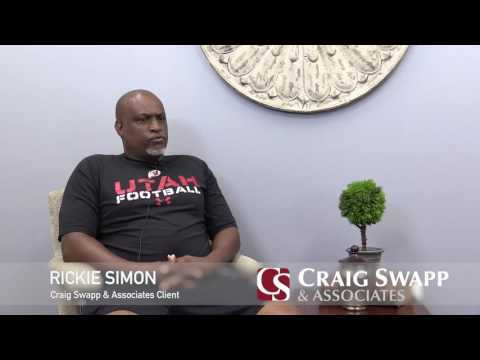 The best way to recover what you are owed is to work with a Spokane medical malpractice lawyer from Craig Swapp & Associates. Your Spokane medical malpractice lawyer will first attempt to settle your case by negotiating directly with the negligent party and their insurance company. This can save you time and prevent the need to go to trial if it is successful. However, you will need to be prepared for the possibility that they will be unwilling to settle and that you will need to go to trial. If this happens, we will represent you and present clear evidence as to why you deserve compensation. Before you can sue your doctor, hospital, pharmacist, or other healthcare provider, we will need to gather evidence proving that they were negligent and the cause of your injury. Your Spokane medical malpractice lawyer will need to prove that another doctor or hospital exercising reasonable care would have made different decisions and you would not have been injured as a result. During this process, we will identify who should be named in your lawsuit. For example, if you were operated on incorrectly, both the surgeon and the hospital could be partially to blame. Birth Injuries – If you or your child were injured during the birthing process, you can file a lawsuit against the physician who delivered the baby. Common birth injuries include spinal and brain damage. Surgical Errors – There have been cases where charts have gotten mixed up and people have received a surgery they were never supposed to have. If this happened to you or something improper happened during your surgery, speak with a Spokane medical malpractice lawyer from our office. Misdiagnosis – If you were diagnosed with something different from what you actually have and this led to your suffering serious physical and emotional consequences, you could have grounds for a medical malpractice case. Incorrect or Defective Medication – All medications come with certain side effects. However, if you were prescribed one that interacted poorly with your other medications or you were not informed of the risks, your doctor or pharmacist may be to blame. To protect your rights and to seek financial compensation, call 1-800-404-9000 and schedule an appointment to speak with a Spokane medical malpractice lawyer from Craig Swapp & Associates. We have the experience necessary to both ensure that you are treated fairly and to bring your case to a successful conclusion. If you aren’t available to talk right now, you can also reach us by completing the contact form below.